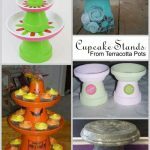 Terracotta or Clay Pots are not just for craft projects. You can easily create a terracotta landscape focal point to amaze your guests. Terracotta pots are extremely effective in creating a more pleasing and aesthetic garden. They come in a wide range of shapes, textures, designs, and sizes, which all help in creating accents and textures to enhance your terracotta landscape design. So it really doesn’t matter if you have a balcony or a vast garden, there is always the option to do a bit of landscaping. Whatever style you like can be catered for depending on the size, shape, design, and textures of the pots you choose. Add that to adding the plants you choose there really is no end to what can be achieved. 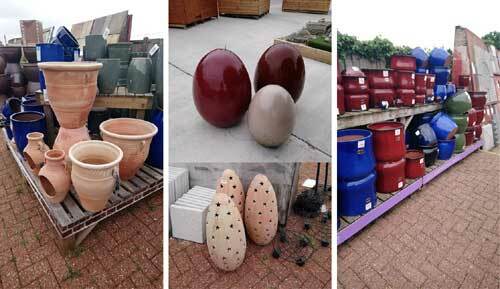 Terracotta pots come in all different shapes and sizes. They can be purchased glazed or un-glazed. 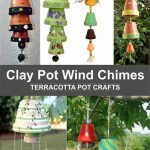 You can also buy terracotta shapes and ornaments to add to your terracotta landscape. Of course, you do also have the option of the more modern plastic pots. 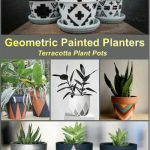 Although personally, I feel that they really do not have the same aesthetic feel as your more traditional clay or terracotta pots. I find that the brick red terracotta pots have a more natural feel. If you are aiming for a garden that is more natural and calming you can age them or add moss or flowing flowers growing from them. For a more rigid style keep them crystal clean with more upright rigid plants. 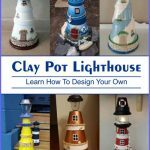 There are also other kinds of clays used for making pots and each would have their own feel depending on the finish used. 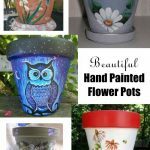 You can buy highly glazed pots of varying finishes and colors or of course you can paint your own and as much or as little style to them as you wish. Your choice, of course, will depend entirely on your garden’s theme and what feel you want to create. If you only have a small area or are the type who likes to utilize your walls you can also create a vertical terracotta landscape on a wall. 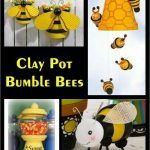 You will find that there are a vast amount of smaller pots in some really intriguing designs. Giving you more options as to where to place your plants. 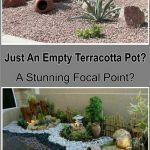 Another factor to consider is the ability and versatility that using terracotta pots gives you when it comes to containing and constraining the spread of plants. Creating a terracotta landscape also helps with keeping certain plants neat and tidy and under control. 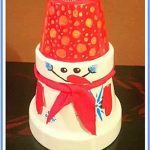 If you are the type of person who prefers everything to be neat and tidy you will find the idea of pots ideal. Take a look at the designs below and try experimenting in your garden until to reach the design and feel that you are looking for. Add a more formal look and feel to your terracotta landscape. The clean lines of these minimalist designs keep everything neat, tidy and organized. Use pots to add color and beauty to what may otherwise appear to be a baron concrete space. This idea is ideal when you want to add more flow and color to steps or entrance ways. You could also create a very functional herb garden. With the addition of moss on your flower pots, you can create your terracotta landscape to look like it has been there a lifetime. Just growing naturally without interference. Moss has a very natural relaxing feel to it. This effect looks superb in a rockery area or surrounded by succulents. I simply love the way these look, natural and flowing, relaxing and vibrant. They add structure, but it is not rigid. They add form, but not constrained it is flowing and free, vibrant and alive. With the correct placement of rocks and flowers, you can even make a dry river. Another excellent benefit of these is that they can be made from broken pots. You can add much need height to a small border or a narrow spot, using terracotta pots. In the first image, they have use terracotta pipes and place terracotta bowls on top. This has added much needed extra space and height. The center image shows the use of wooden poles to give the varied heights for the plants giving quite a stunning appearance. 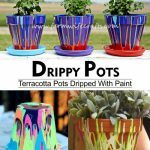 The third image is of a topsy turvy planter, this would be used in very small areas where you just want to add some color. Last but not least you can make a stunning centerpiece, with all the beauty of a flowing flower border. But still using constrained, neat and tidy effect. So there you have it. 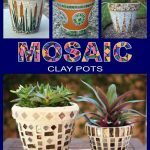 Clay pots are an excellent choice for adding decor and structure to your garden. 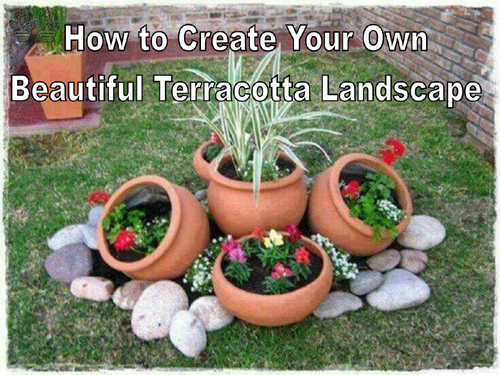 Go ahead and create your own terracotta landscape.